This year we have created two summer programmes – the original and hugely successful 9 week course and the new 7 week fast track course. 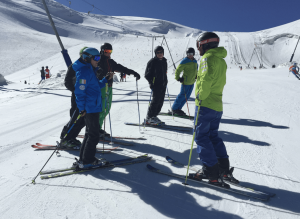 The 7 week programme is designed to fit with school and uni term times easier to allow teachers and students alike to gain their instructor qualifications and hugely improve their skiing without having to take time off work or studies. The Level 1 Freestyle coaching qualification is the first step on the coaching ladder. 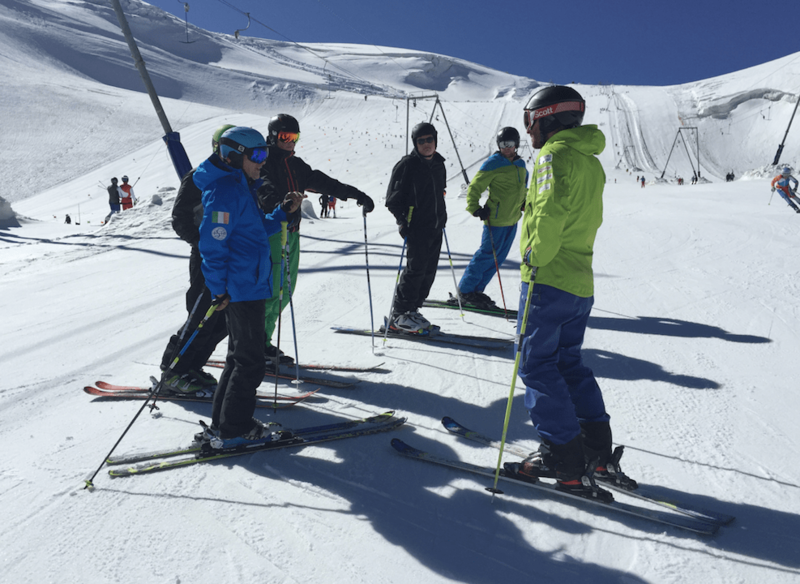 It also is a module that can count toward your L3 ski instructor qualifications should you choose to pursue further ski qualifications after the course. Coaching will run from Sunday to Thursday each week with the Friday and Saturday as the days off to practice what you’ve learned. It will start early morning and finish early afternoon. Meeting place for the coaching sessions will be outside the Hotel Mon Reve. After one or two warm up runs we will work through an aerobic warm up routine that will last for about 5 minutes, developing flexibility in your muscles and awareness of how to move and manage your body. 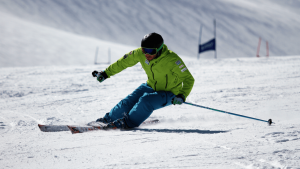 During the day coaching will develop your personal skiing level and focus on Carving, Steeps, Moguls, Freeskiing/All Terrain skiing and Freestyle. 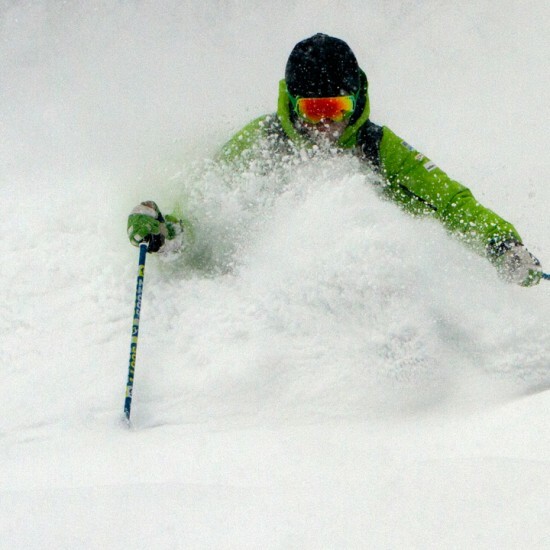 There will be a snack break on the mountain. After this, coaching will be developed further and drills that were worked on in the morning will be put into practice on specific terrain. Coaching will finish early afternoon. At this time you can head down and rest or take advantage of the numerous summer activities in resort. 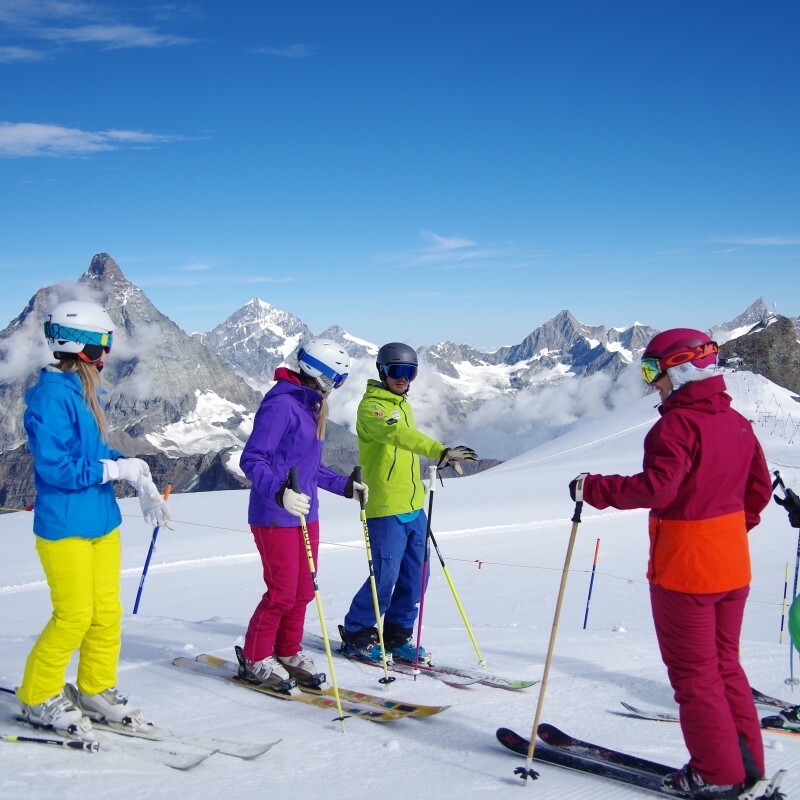 Lifts in Cervinia are open from 7am to 1.30pm early summer and then 8am to 2pm late summer. Often there will be fitness, mobility or stretching sessions in the afternoons to aid the hard work you’ve been doing on the slopes. Video analysis will take place on a weekly basis and will be analysed later that evening at the hotel. 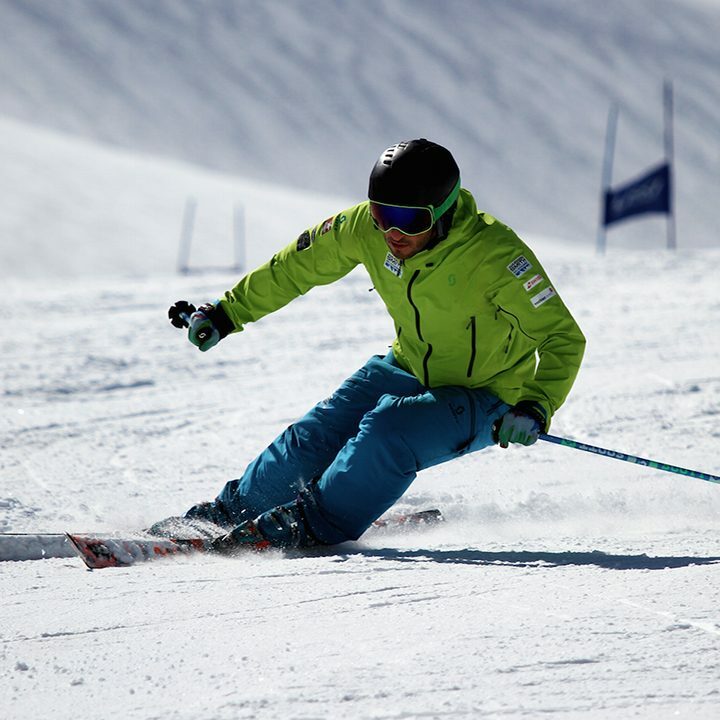 A full analysis will take place on your skiing and any biomechanical issues you have with your skiing will be visually explained giving you a specific pathway to change. activities include: Golf, Tennis, Climbing, Football and much more. See Tourist Office for full listings. The 3* Hotel Mon Reve in Cervinia offers comfort and superior services that include reception desk, free shuttle to the center, covered car parking, 23 rooms that are furnished with wooden furniture typical of Val d’Aosta alpine living and a delightful area facing the Cervino (Matterhorn) and the Great Muraille. It is situated directly on the ski slope no.3 at the foot of the Cervino. It is in one of the earliest known villages of Cervinia referred to as “Alpe Giomein”. 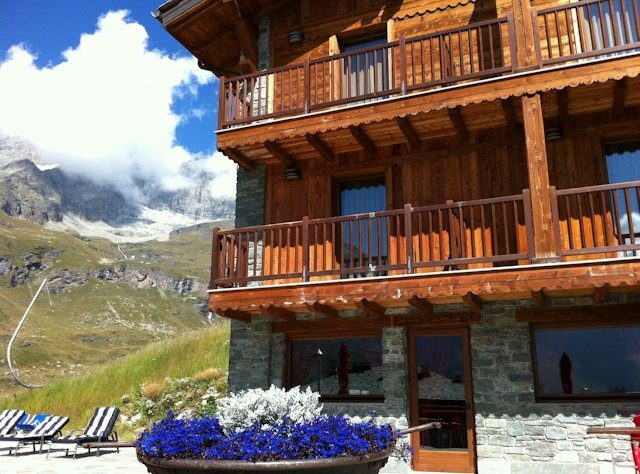 In fact, here the first ever hotel in Cervinia was built in 1913, being the sunniest area of the meadow “Breuil Valley”.The elegant and spacious all raw-wood valdostan design creates a warm and familiar environment. the Hotel Mon Reve has 23 double/twin bedrooms all with handmade wooden furniture in typical Valle d’Aosta style. Some bedrooms have a private balcony or terrace offering mountain views while others face the town. There are numerous inexpensive restaurants in Cervinia to choose from and the Mon Reve also offer food. As a rough gauge, evening meals will cost between 5 and 25 Euros depending on what you go for. Most nights the coaches and the group head just across the road to the Bricole which has a great selection on the menu all of which is great value and delicious! All applicants will need to go through a telephone interview with Rob Stanford before receiving a placement on the course. 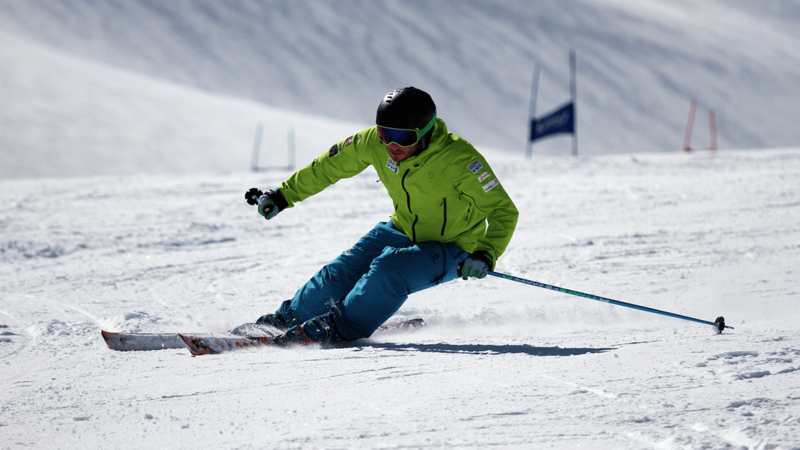 The aim of the interview is for Rob to assess your skiing standard, experience and general attitude towards the course. Contact Rob on his Swiss number +41795304549 to arrange a convenient telephone interview time.